A virtual cab ride through Omaha, complete with an eccentric driver entices an international conference to the city. The International Association of Operative Millers&apos; Conference and Expo will bring approximately 1,000 visitors to Omaha during May 2014. The Operative Millers chose Omaha after taking a ride in the Omaha Adventure Cab. During a 2009 Trade Show the OCVB invited national convention planners to hop in a virtual cab and take a 2 minute ride through Omaha. The Operative Millers&apos; convention planner later used a DVD copy of her cab ride to persuade board members to select Omaha for the 2014 conference. 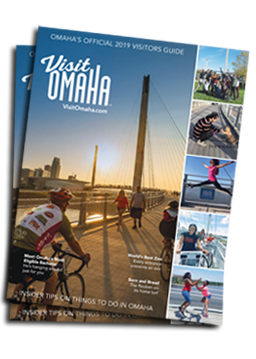 "This is an example of how we take Omaha on the road and showcase it as a convention destination. This type of creativity helps distinguish Omaha from other convention cities. These attendees will be spending money on transportation, hotels, meeting space, dining and entertainment during their weeklong stay." said Dana Markel, Executive Director of the Omaha Convention and Visitors Bureau (OCVB). Other cities competing for the 2014 conference were Kansas City, Denver and Indianapolis. The Operative Millers Association is devoted to the advancement of technology in the grain milling industries.